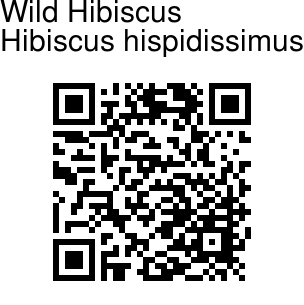 Wild Hibiscus is a large climber, with sometimes reddish stems covered with hooked prickles. Alternately arranged leaves, 6-8 cm, are palmately 3-5-lobed, hairy, heart-shaped at base, prickly on the nerves. Leaf margins are toothed, lobes long-pointed, and the leaf-stalks are 5-10 cm long, prickly. Stipules are lanceshaped. Yellow flowers arise singly in leaf axils, carried on 3-5 cm long prickly stalks. Bracts below the flowers are 8-12, with leafy appendages. Sepals are hairy. Seed capsules are 1 cm long, ovoid, pointed, enclosed in enlarged sepal cup. 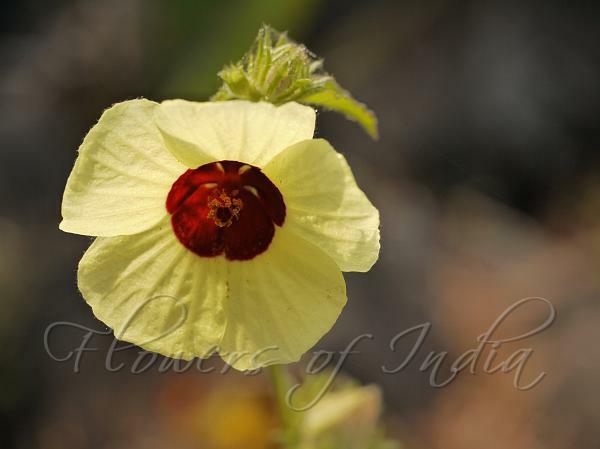 Wild Hibiscus is commonly found in the evergreen forests of Western Ghats. Flowering: November-January.